All are welcome at St. Andrew’s Episcopal Church. Join us at any of the services of worship listed below. Join us for coffee and juice after the Sunday services. Childcare is provided during the 9:00 am and 10:30 am Sunday services in the nursery. All baptized Christians are welcome to receive Holy Eucharist in the Episcopal Church. If you or your children would prefer to receive a blessing rather than communion, simply come forward to the altar rail and cross your arms across your chest as a signal to the priest. This service is in the chapel following Holy Eucharist Rite I without music. Dress as you are comfortable. The contemporary service has a band led by Susie Thorne and the music has a smooth jazz flare. 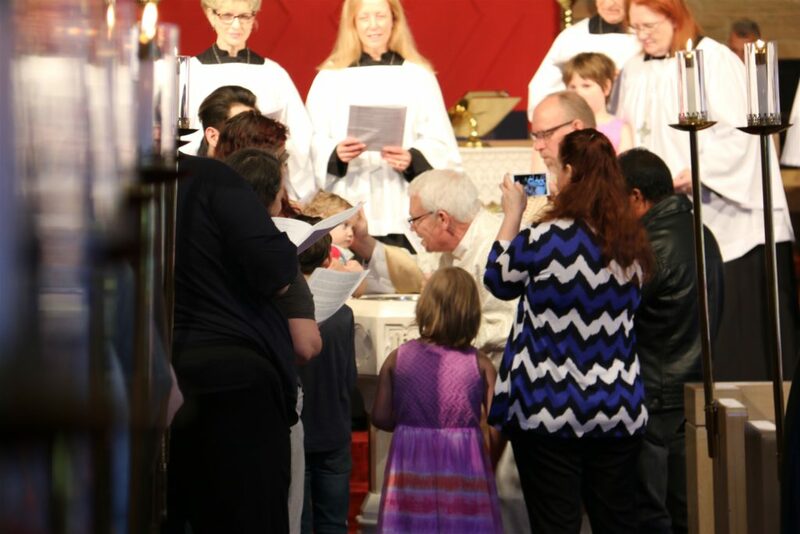 The liturgy follows Holy Eucharist Rite II and involves all ages of the congregation, especially our youngest people. Informal attire is appropriate dress. This service features the St. Andrew’s Choir under the direction of Dr. Michael Bauer, organist and choir director. The liturgy follows Holy Eucharist Rite II and the 1982 Hymnal. People dress modestly, as they are comfortable. Blue jeans are welcome. A thirty-minute service with prayers for healing and Holy Communion. 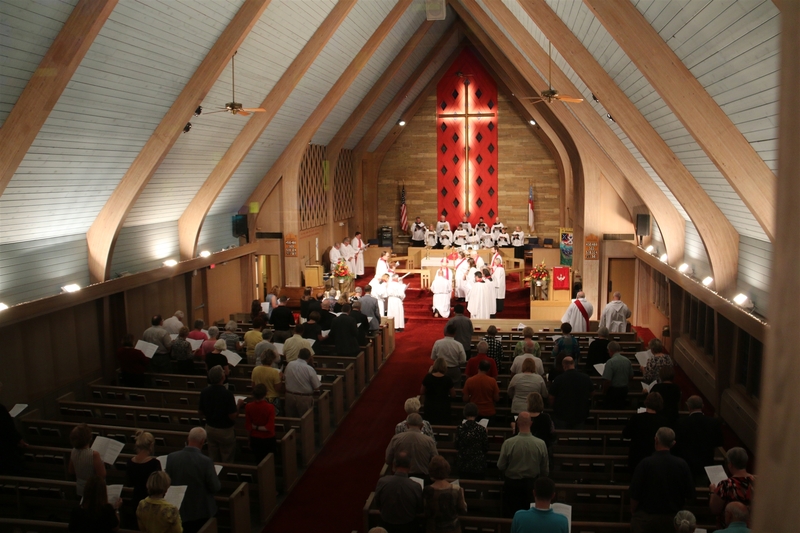 This service is in the chapel and follows Holy Eucharist Rite II in the Book of Common Prayer. There is no music. People usually dress in informal attire. You will see in the service times below indications of Rite I and Rite II. Rite I is what many refer to as “traditional language,” meaning the order of worship and the prayers are written in the traditional language of the Elizabethan period. The prose is poetic and you will hear “thee” and “thou” in the offering of prayers. Rite II is written in modern language. Pronouns such as “thee” and “thou” have been changed to “you.” The prayers have a more contemporary feel and are still reverent in our offerings to God. For more information, contact one of our clergy.